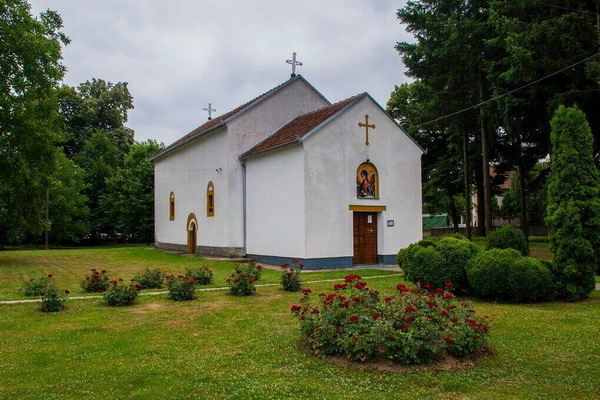 There are two monasteries Ljubostinja and Veluće, two beauties of Morava Serbia, the endowments of two Serbian princesses dedicated to the Holy Virgin. The Ljubostinja Monastery is 4 km north of Trstenik and it is an endowment of Princess Milica which was built from 1388 to 1405. 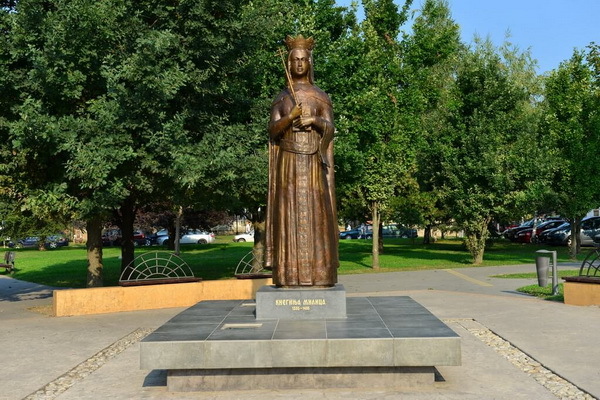 Milica is one of the most impressive characters as wife, mother and ruler in Serbian history. 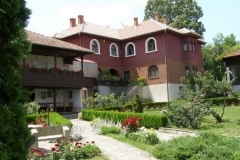 The name Ljubostinja originates from two words “ljubve” and “stan” which means Place of Love. 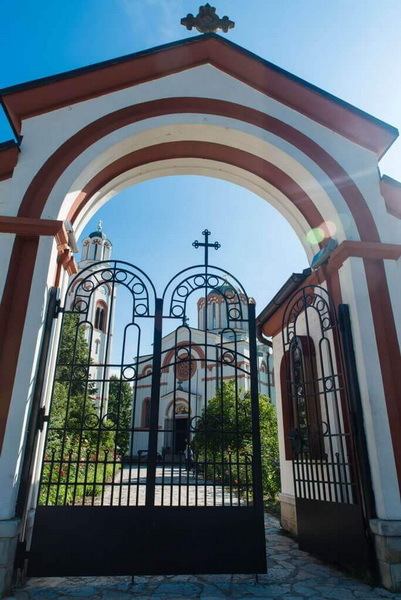 This is the place where Milica had first met her future husband Lazar and in memory of this event she decided to establish the monastery. 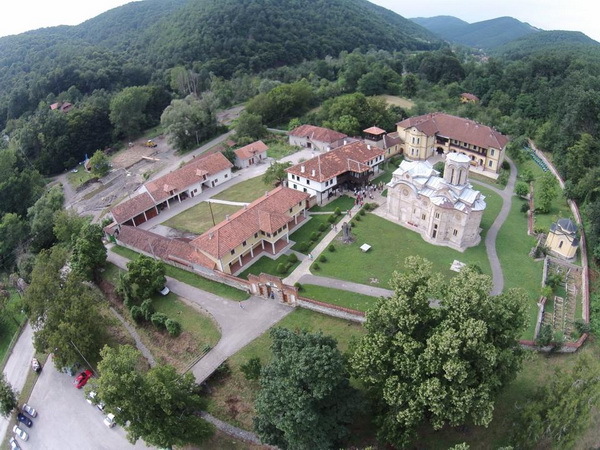 Since the beginning, the Ljubostinja monastery has been the center of cultural and spiritual life. 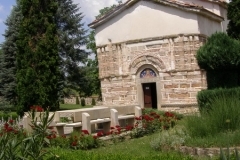 Besides Milica, later Nun Evgenija, the monastic life also found Jelena, later Nun Jefimija, who was the wife of Despot Jovan Uglješa Mrnjavčević. 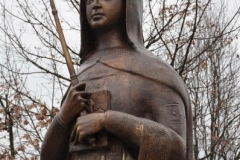 She was the first Serbian poet. Her famous work is “Ode to Prince Lazar” which was embroidered by a golden thread on big red cloth which was intended to cover the body of the killed prince. Both rulers died and were buried here, in this monastery. The legend says that Milica, while her friend was dying, gave Jefimija her sarcophagus ,which she dedicated for herself, with carved lily that denotes purity and chastity which is usually attributed to the Holy Virgin. 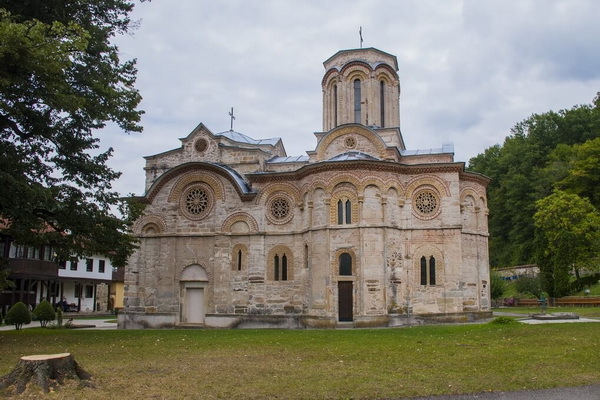 The Veluće monastery, which carries the same name as the village, is 5 km south from national road Kruševac-Kraljevo, “in the middle of Prince Lazar’s land”, and from the west, the monastery is situated on the approach to his capital. The Veluće monastery is one of the rarest monasteries whose founder is unknown, but it is certain that it was built in 1377 – 1378, and depicted in 1389. According to the founder’s fresco and inscription in the naos it can be concluded that the founder was a woman. 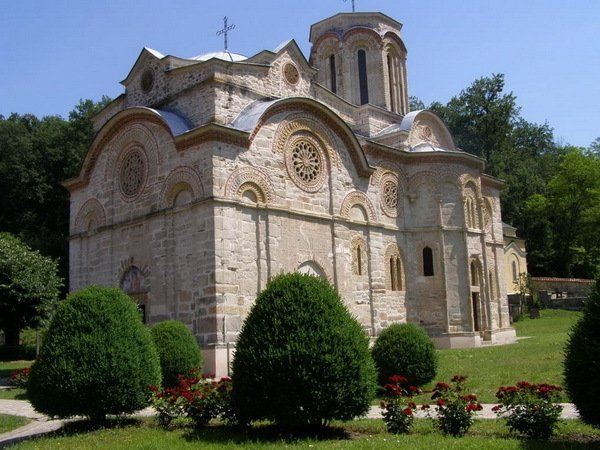 The legend says that the monastery was founded by Mara, daughter of Prince Lazar and wife of Vuk Branković, as a symbol of repentance. Be that as it may, the founder remains veiled. 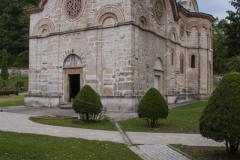 Architecturally, the monastery belongs to the Morava school, and because of its similarity with Lazarica in Kruševac, it is considered that the Lazarica monastery was model and they were built at the same time by the same masters. 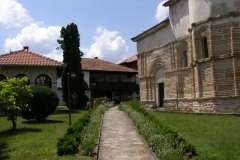 Monastic buildings are situated in not so wide garden full of flowers and mass of greenery. 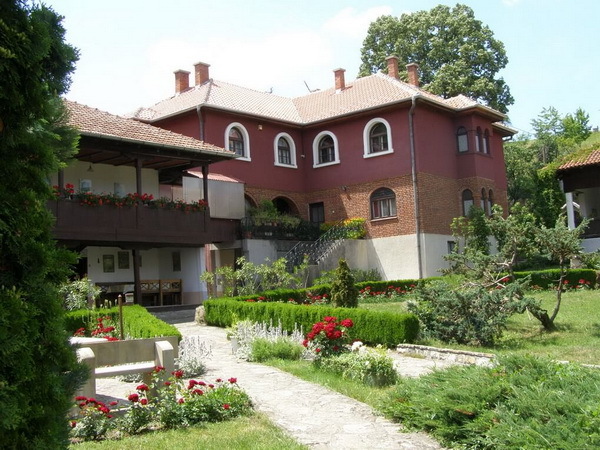 In the vicinity of the monastery, between Veluće and Tobolac, there are springs of natural mineral water which has been known for its therapeutic characteristics for decades and the monastery is usually called “spring building”. Earlier it was known as Srebrnica named after the river. You can still find few gold and silver miners. 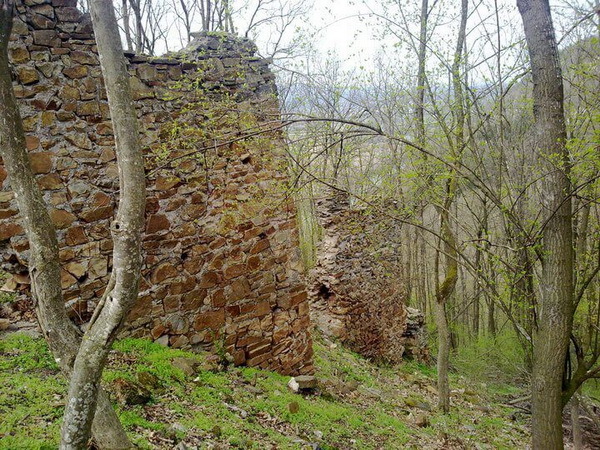 The medieval town Grabovac known as Jerinin grad, testifies about the strategic significance of the road that was leading through the valley of the West Morava. 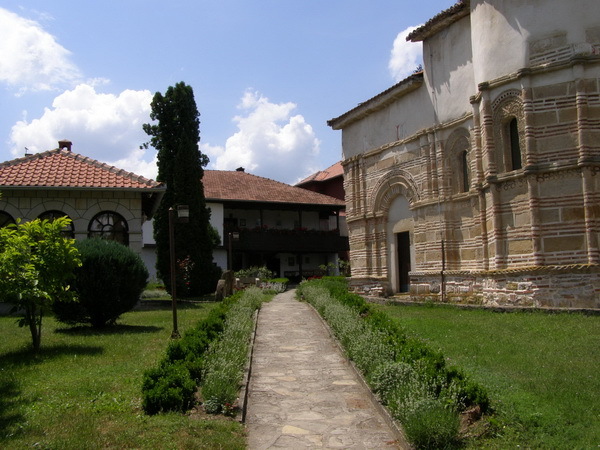 The town was established by Byzantine Emperor Justinian in the 6th century, and it was restored and enlarged by the Serbian medieval rulers. 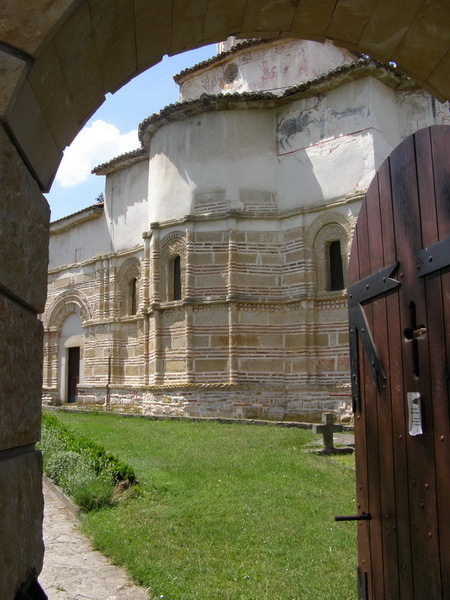 It is bigger and more accessible than far more popular Koznik, Maglić and Soko grad. 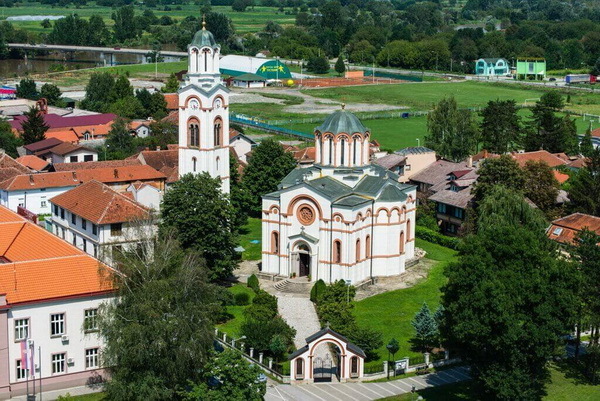 In the center of Trstenik is St Trinity Church. 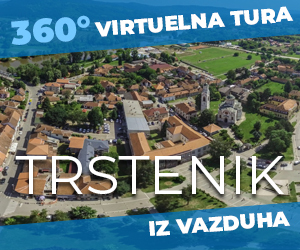 It dates back to golden age of Trstenik. 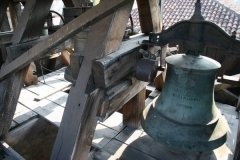 It was built from 1898 to 1900 and it is dedicated to the Descend of the Holy Spirit. It is the first church which wasn’t built in the Morava Style and it was a model to the builders from the beginning of 20th century. 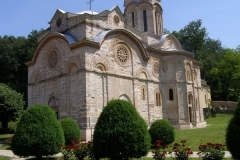 It is similar to Church of king Milutin in Hilandar. 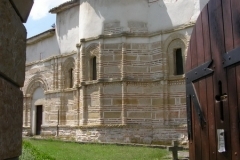 Church of St Archangel Gavril is in Ribnik village. As the legend says, village was named after rich fish ponds. The Nemanjićs, the Hrebeljanovićs, the Obrenovićs and the Karadjordjevićs adored fish from these fish ponds. 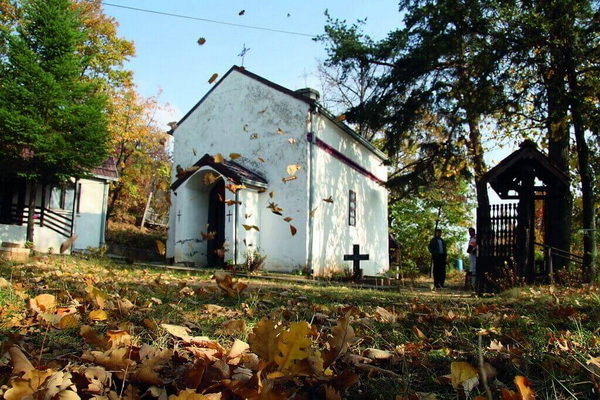 In 1824, Miloš Obrenović built the church for people of this village and it was one of his places for repentance. 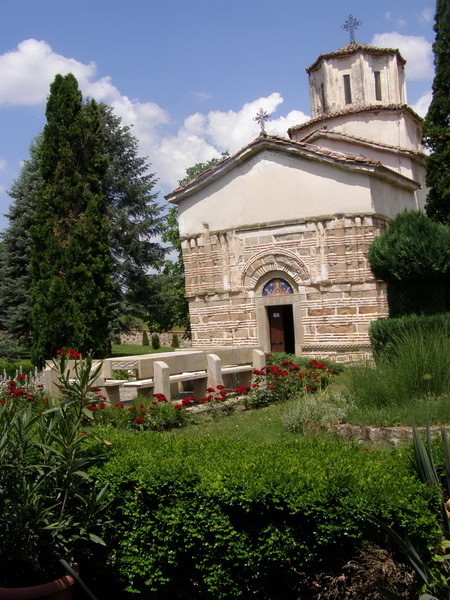 This church is one of the oldest in Trstenik municipality and in 1984, it was declared the cultural monument and it is under protection. 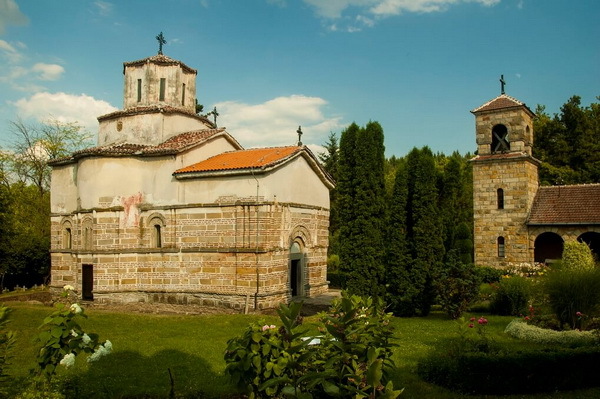 St Petka Church, 2 km from Trstenik, is situated in one of the most beautiful spots where magnificent scenery can be seen and it is surrounded by vineyards. 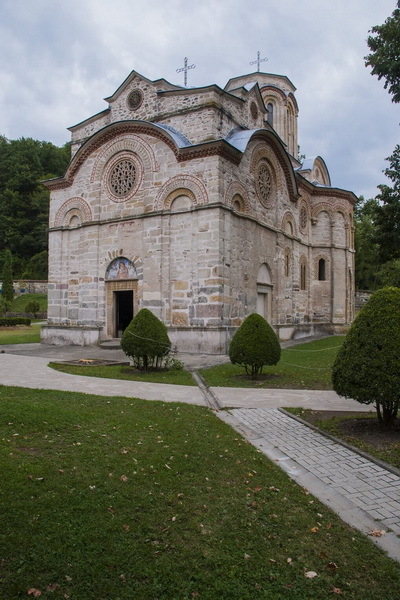 Allegedly, before Princess Milica moved the sacred bones of St Petka from Trnovo to Belgrade, they had rested in this church. 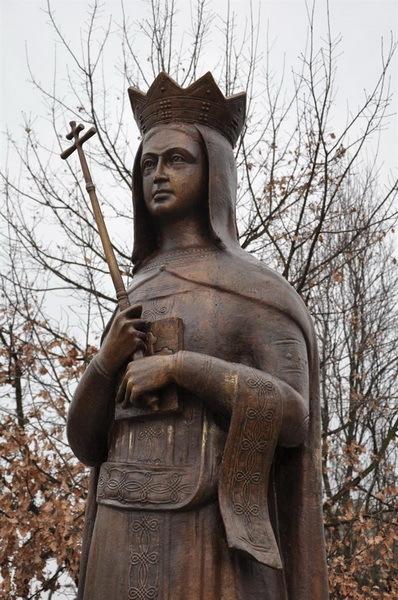 Princess Milica was recorded in Serbian history as a wise woman, a wife, a mother, a founder, a writer and a ruler of Serbia. 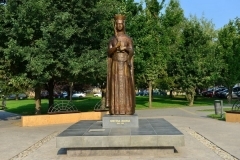 She took over the throne of Serbia after the battle of Kosovo at one of the most difficult moments in Serbian history. 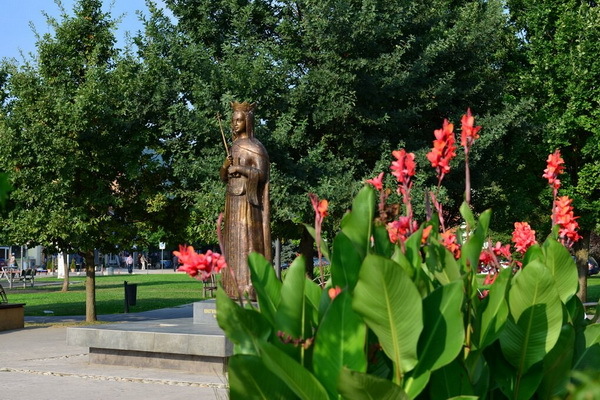 In order to mark the 610th anniversary of her death, a monument in memory of brave Princess Milica was erected in the centre of Trstenik. The monument is 4 metres high and it consists of the statue and the base. 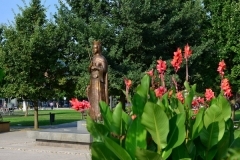 The statue was cast in bronze according to the conception of PhD Dragoljub Dimitrijevic. 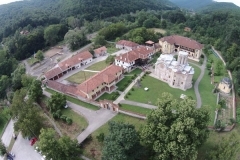 The founder’s fresco from the monastery Ljubostinja was the inspiration for the image of Princess Milica. The monument was built owing to the donation of Professor Radmila Milentijevic who has been living and working in the USA for years and also helping people in Serbia. This monumental work of art was unveiled on 17th January, 2016. 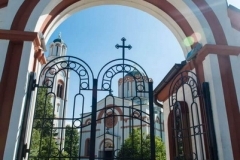 The Patriarch of the Serbian Orthodox Church Irinej consecrated the monument in the presence of a huge number of the inhabitants of Trstenik and esteemed guests. Monument to the fallen soldiers in the Second World War is located in the park near the Old Bridge, on the right bank of Zapadna Morava river. The creator of this monument is DusanNikolic, academic sculptor from Belgrade. The monument was erected in 1951. “Blessed be the one who lives forever, he had something to be born for” this verse is written by Petar Petrovic Njegos and are engraved on the east side of the monument itself. The pedestal, which is 3 meters in height is furred with irregular sand-rock cubes. On the pedestal, a statue of a soldier, which is made out of bronze, is situated in a way that it is calling in on the fight: in the right hand he has a rifle, while the left one is raised. 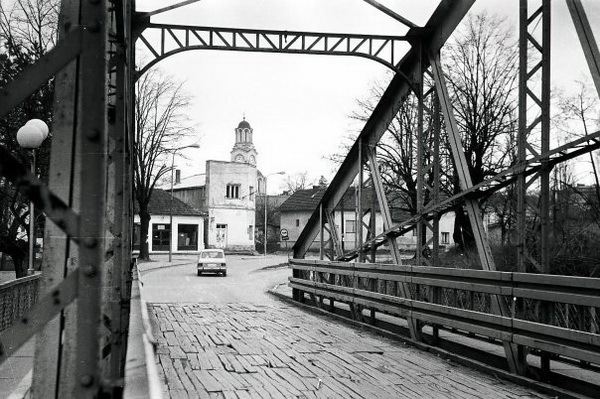 During the NATO bombing of Serbia, the Old Bridge in Trstenik was destroyed. During this event, three innocent people died. After the NATO bombing has ended, in the year 2000 the monument was upgraded with wings on both sides. On these wings, names of the people who died in the Civil War, which lasted from 1991-1999, as well as the names of the people who died during the bombing of the Old Bridge in Trstenik are engraved. 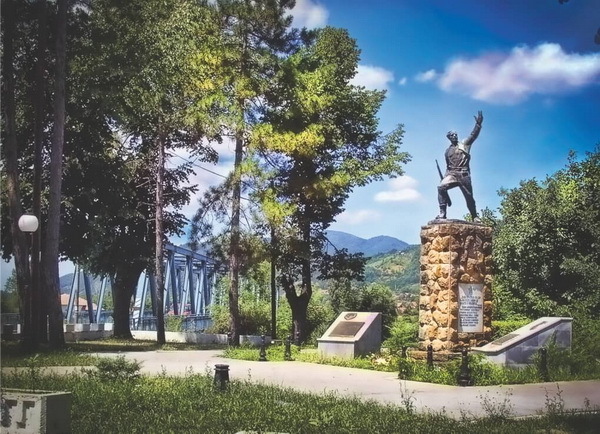 The most grandiose monument in the territory of the Municipality of Trstenik is the Monument in Popina. It is erected on the site of a battle which took place in 1941, in which a small unit of partisans, although greatly out-numbered, bravely fought against German troops. 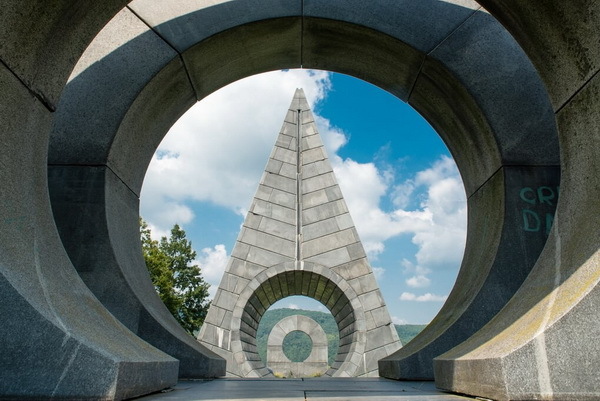 The monument was designed by the famous Serbian architect Bogdan Bogdanovic. The shape and form of this monument was clearly and overtly intended by Bogdanović to evoke the idea of the barrel of a sniper’s rifle, which is made obvious by the nickname of the monument, “The Sniper”. The bridge over the Zapadna Morava are also important monument. The first bridge, the Iron Bridge, was constructed in 1899. In the invasion of Austro-Hungarian Army in 1915, the Bridge was pulled down, but it was repaired after the Great War with the funds paid as war reparations. The bridge was pulled down again in NATO aggression in 1999. In 2000 new Iron Bridge was built. The Iron bridge was pulled down in NATO aggression in 1999.